At 0944 the tones dropped to respond to a working structure fire mutual aid to West Potsdam at 71 Blanchard Road . Tanker 20 was enroute immediately, followed by Engine 7 and Rescue 1 shortly thereafter. 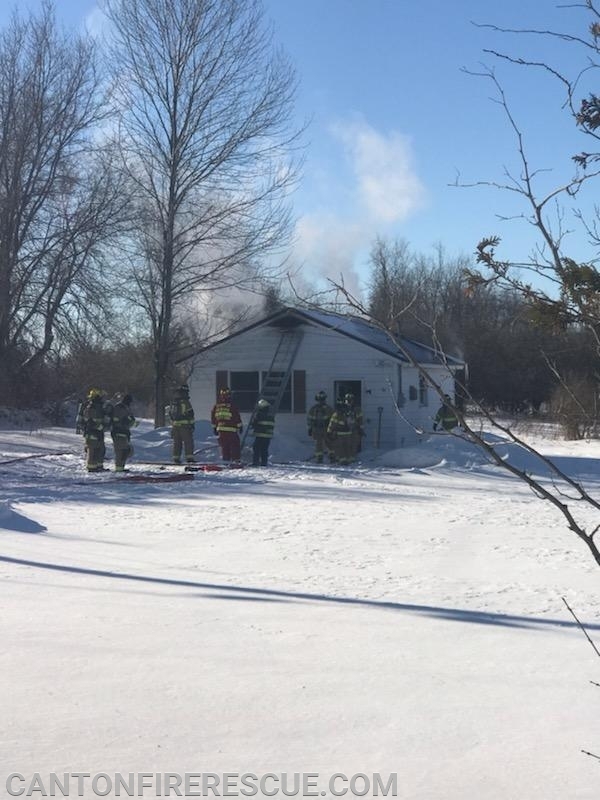 The fire had been called in by members of the Town of Potsdam Highway Department who were plowing the nearby St. Lawrence County Fire Training Center. upon arriving on scene, members provided assistance with overhaul. All units were back in service at 1107 hours.